A delay in departing the drydock has once again caused the cancellation of service on a major Alaska ferry route. A recent announcement from Alaska Marine notes that the April 4-7, 2019 sailings between Ketchikan and Bellingham are now canceled as the MV Kennicott requires more drydock time. BC Ferries has announced it will both freeze and reduce some of their route fares. At the same time, the corporation is considering extending their summer sailing schedule into the 2019 fall season. Commencing 01 April, 2019 ferry service will increase through the addition of some 2,700 sailings. In an effort to serve the needs of Islanders and the BC coastal communities, the BC Ferry corporation will reinstate most of the sailing cuts made on 10 routes in 2014 . Once new crews are hired later in the year, increased ferry service for the following ports will be announced & implimented. Expect delays in the Vancouver - Sunshine Coast ferry schedules as a result of docking issues suffered by the Queen of Surrey at the terminal near Gibsons this morning. A tugboat is on the way to help the ferry which is currently caught on a berthing pontoon. A schedule update can be secured by calling BC Ferries at 888-223-3779 however the next expected sailing from Langdale is at 6:40 p.m. PT. As the Alaska State Legislature grapples with their transportation budget & decides whether or not to abandon the Bellingham WA - Alaska ferry route as they restructure their system, it might be asked whether this would provide a revenue generating opportunity for both British Columbia and for the BC Ferry Corporation ? With Vancouvers' Tsawwassen Terminal only some 20-25 minutes north of Bellingham, a BC ferry offering service between Vancouver & Prince Rupert would enable travellers to still enjoy the beauty of the coast; to enjoy the trip in Canadian dollars, and to avoid the long drive alternative. Too, transporting weapons could be an issue as neither handguns nor automatic / semi-automatic weapons are allowed into Canada. Currently it is estimated that some 30,000 passengers a year use the Alaska ferry system to travel between Washington & Alaska: a number that brings with it serious dollars for any community. Designed to add capacity to the popular Vancouver – Vancouver Island routes, the new BC ferries are planned to replace the aging Queen of New Westminster, Queen of Alberni, Queen of Coquitlam & Queen of Cowichan vessels. The State legislature continues to debate both the frequency of and ports to be served by, the Alaska Marine ferries during the winter season ( Oct 2019 -March 2020). A combination of budget cuts and ferries requiring longer than expected drydock time continues to plague the system. The Alaska ferry system has struggled over the years to provide confirmed schedules far enough in advance to satisfy travel agents, tour group operators & independent travellers trying to secure Alaska ferry reservations as they make summer plans to explore the State. Additional Ferry Sailings Between Annette Bay & Ketchikan. The M/V Lituya will now leave Annette Bay on Monday, February 11, 2019 & return from Ketchikan early on Thursday, February 14, 2019. Regular scheduled ferry service will resume on Thursday February 14, 2019 at 9am , upon leaving Annette Bay. Sailings for the MV Aurora will be cancelled 07 February through 15 February. Ferry Passengers Entering Alaska from the Lower 48 Be Aware. Travellers going to, or passing through Canada, should be aware that both hand guns & automatic weapons are not allowed into the country and may be subject to confiscation. Also refused entry into the country is anyone with a felony charge. In Canada a DUI conviction is considered a felony. If thinking about travelling in Alaska this summer, it would be wise to book before May so that you can secure the vehicle and cabin space you think you will need. Remember that if transporting weapons in your vehicle, you may want to avoid travel through Canada as hand guns and automatic / semi automatic weapons are not legal in Canada and will likely be confiscated. When entering Alaska from the Lower 48, the only way to avoid going through Canada is either by air, or by using the cross-gulf ferry to Whittier, Homer or Valdez. (See the Alaska route map on ferrytravel.com Driving the Alcan highway is not an option for anyone with either weapons or a DUI because it does not avoid a quick entry into Canada. With only 10 sailings in either directions each year, summer ferry space to Whittier is usually sold out before April. To secure ferry reservations call either 1-800-686-0446, or for faster service Click Here, to book easily & securely online. Cabins on the Bellingham - Whittier summer crossings are beginning to get tight. If planning this 5 day Alaska trip from Bellingham be sure to confirm your reservations as soon as you know your intended dates. Reminder: The cross-gulf ferry only travels to Whittier 2x per month and only the 4 Berth cabins have a private sink, shower and toilet. All 2 berth cabins share washroom facilities down the hall. Sailings scheduled between March 21 thru April 3, 2019 on the MV Kennicott are now canceled. Alaska Marine anticipates the Kennicott will resume regular ferry service from Ketchikan to Bellingham commencing April 4, 2019. Due to a mechanical issue, the M/V Aurora has cancelled her Sunday, January 27, 2019 sailings. Ferry service is however expected to resume service on Monday, January 28, 2019, so as to accommodate student sports teams returning home to Valdez early that day. Celebrate Valentines Day in Victoria on the Seattle Ferry. If thinking of a special Valentines Day surprise, consider a "mini-cruise" from Seattle to Victoria BC. The crocus and daffodils are starting to appear and with the US to Canadian dollar at an exchange rate of about $1.30 Canadian, buying anything is a bargain for US visitors. Valentines Day packages (guaranteed to provide the lowest ferry/hotel fares) are selling quickly and many of the Victoria downtown hotels are already getting tight on space. Call 1-800-686-0446 for Valentines Ferry info and reservations. The Victoria Clipper is the fastest, most direct way to travel between Seattle and Victoria. The high-speed passenger-only ferry to Victoria, BC operates daily, year- round and makes the crossing in just under 3 hours. 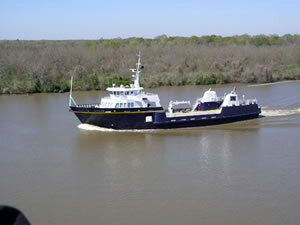 Online booking at www.ferrytravel.com is fast, easy and guarantees the lowest cancellable fares available. For the Guaranteed Lowest Ferry / Victoria Hotel package fares call 1-800-686-0446. Ferry travellers departing/arriving in Seattle should be aware that on 11 January 2019, the Alaskan Way Viaduct will close permanently. As a result it is anticipated that the Seattle core may see a greater than usual traffic buildup. Travellers are reminded that because unexpected delays may occur while construction on the new SR 99 tunnel takes place, it is important factor in plenty of time to accommodate this. Mechanical issues have caused the cancellation of the MV Columbias last sailing of 2018 to Skagway (December 31) to be cancelled. The Columbia will serve Haines as scheduled, & will leave Haines on December 31, 2018 at 6:15pm. Additional ferry sailings between Annette Bay and Ketchikan are scheduled for Monday, December 31, 2018 & Tuesday, January 1, 2018. This decision will enable the M/V Lituya to overnight in Ketchikan due to forecasted heavy winds. Gale force winds, heavy seas, & freezing spray, have caused sailings to Kodiak, Port Lions, and Ouzinkie for Sunday and Monday, December 30-31, 2018 on the M/V Tusutmena to be cancelled. On Sunday, December 30, 2018, the M/V Tusutmena will make its scheduled ferry stop in Seldovia & will then return to, & remain in Homer until resuming her regularly scheduled sailings on Tuesday, January 1, 2019.